If content is King, then animation videos for your website, business and brand reigns by its side as Queen. Our challenge when producing animated videos, is having to make the content so engaging, as to provoke the required response from your target audience. We want your content, which could be in the form of explainer videos, promo videos, or slick product videos, to leap off the screen, inducing a call to action, that not only drives traffic to your website (search engine friendly), but aids in the automatic conversion of visitors into ready qualified prospects or clients (higher conversion rate). This is what animation videos at their best can do for your business. Animated videos, are simply a medium for communicating your brand message, to your audience, in a non-threatening way, by employing entertaining, exciting, informative, and interactive visuals to register a captivating impression on your viewing audience. Our Hertfordshire and London locals are set for an animated thrill. Once upon a time, when you were very young, and the world was new to you, animation companies brought the stories, sometimes in the form of fairytales, to your living room. These animation studios, helped to broaden your mind, enabled you to tap into your imagination, stimulated and motivated you in equanimity. They helped shape your morals, by showing you what was right and wrong, and sought to imprint a life lesson with each film you watched. Much of who you are as a person, and how you act now, was conditioned from infancy.As you’ve grown older, animation agencies, still have a strong influence on you, in the form of corporate videos, health and safety videos etc. Animated videos possess such an easygoing feel to them, that people are inclined to lower their guard, and receive the message being transmitted, which is good news and a huge benefit for your business and brand. When we launch an animated video campaign on your behalf, we incorporate the talents of our motion graphic team which includes; animators, script writers, motion graphic designers and video production managers, to produce innovative animation visuals to effectively and efficiently convey your brand message to your target audience. At BRANDi Design, we are not limited by the size, scope, or type of video production you would like to engage to spread your brand message, as we are here to help distinguish your offering from the competition, and increase your stock with the viewing public, in the connection economy. 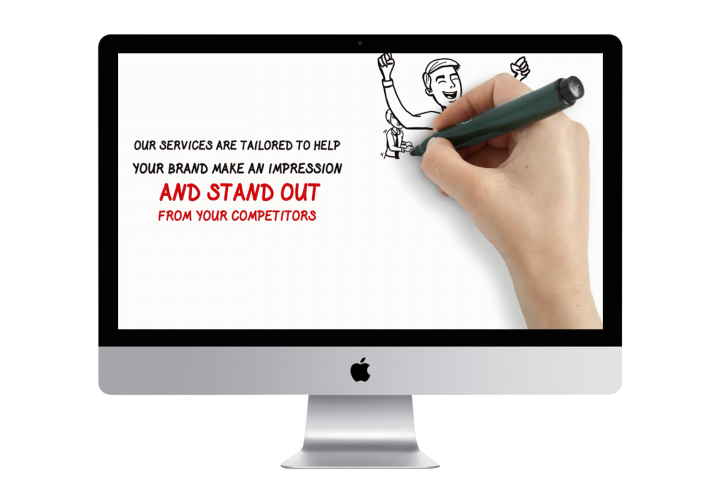 Depending on your preferences and prerequisites, we can offer you varied types of animated videos, which include whiteboard animation, character based animation, kinetic typography animation, or a collaborative bespoke/customised animation video.